The Stonewashed Outdoor Survival Knife is a functional blade to take with you whenever you are heading into the great outdoors. The stainless steel knife features an exceptional shape that works great for chopping or splitting wood with its slightly inward-curved belly. A dip along the back of the blade provides a space where another object can strike it to provide additional force. The sawback enables light sawing or grinding, and the outdoor knife can also be used for carving or whittling by the campfire. 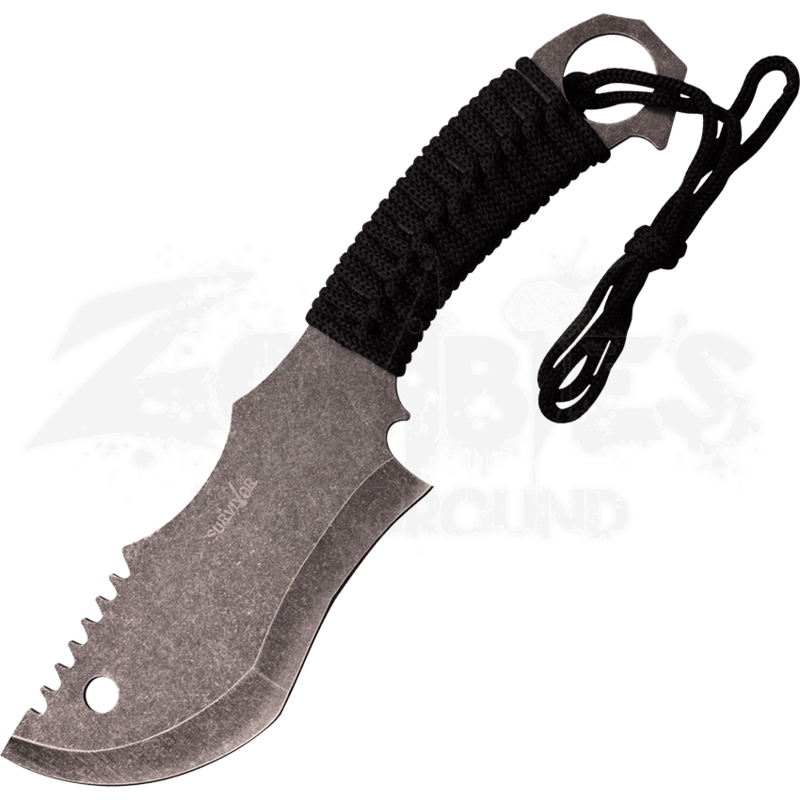 Black cord wraps the handle of the camping knife, providing a more comfortable grip. 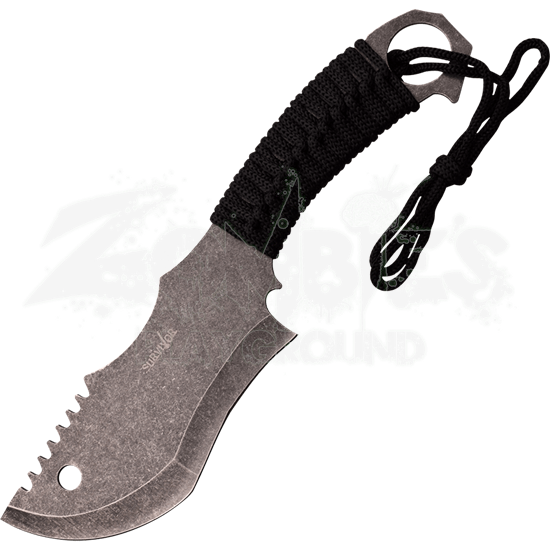 The survival blade comes with a nylon sheath for safe carrying and storing.